Amaranth is another effective home remedy for hair disorders. Application of the fresh juice of the leaves of this vegetable helps the hair to retain its black colour and prevents it from premature greying. It also helps the growth of the hair and keeps it soft. Amaranth (Thotakoora) greens are the best and easily available green leafy vegetable.But for me only this pink variety is available here in this part of the World..
Amaranth is an 8,000 year old crop called “Super-Food”,Ideal for Vegan/Vegetarian,Heart Healthy ,Suitable for Gluten-Free and Diabetic Diet. 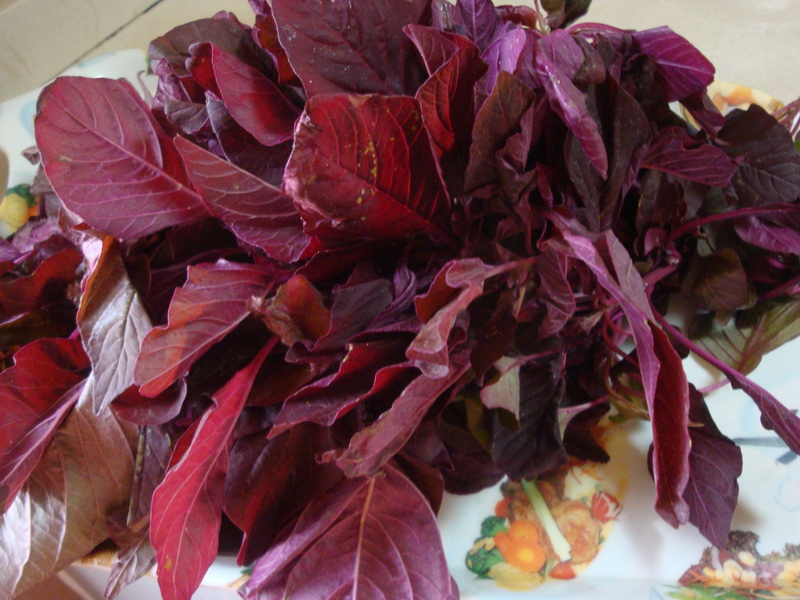 Amaranth has High Nutritional Profile and Rich and Colourful History. Its flowers are mentioned in Poetry. Where the name amaranth comes from Greek which Means Never-Fading -Flower. Amaranth is a Gluten-Free Nutritional Power House.This grows anywhere,even under difficult weather conditions no other food plant could sustain.Its seeds are also used in different ways. 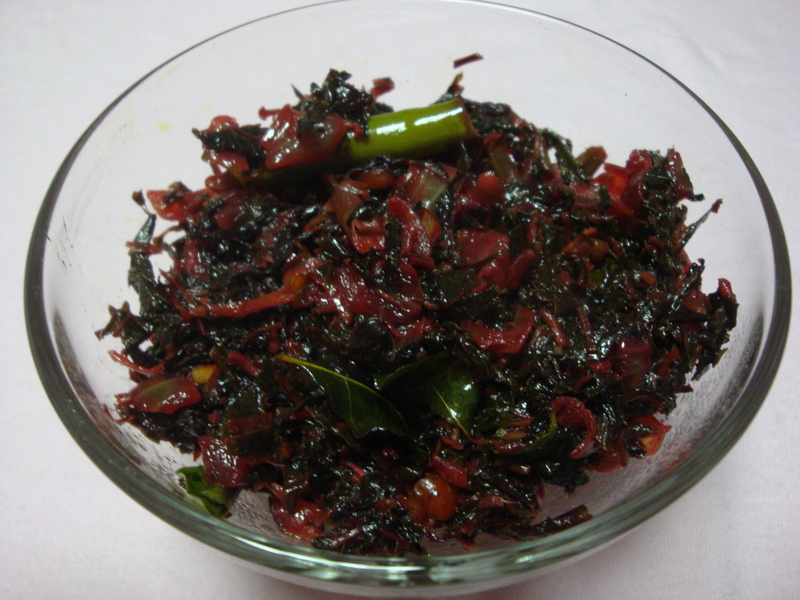 The Basic Amaranth Greens (Thotakoora) Fry. Amaranth Leaves – 2 bunches or packs,pick leaves and tender stalks,wash and drain then chop finely. Prepare the amaranth(Thotakoora) leaves as said and keep. Place a skillet or pan and add oil and heat,Drop the mustard and chanadal and fry a bit till it splutters. 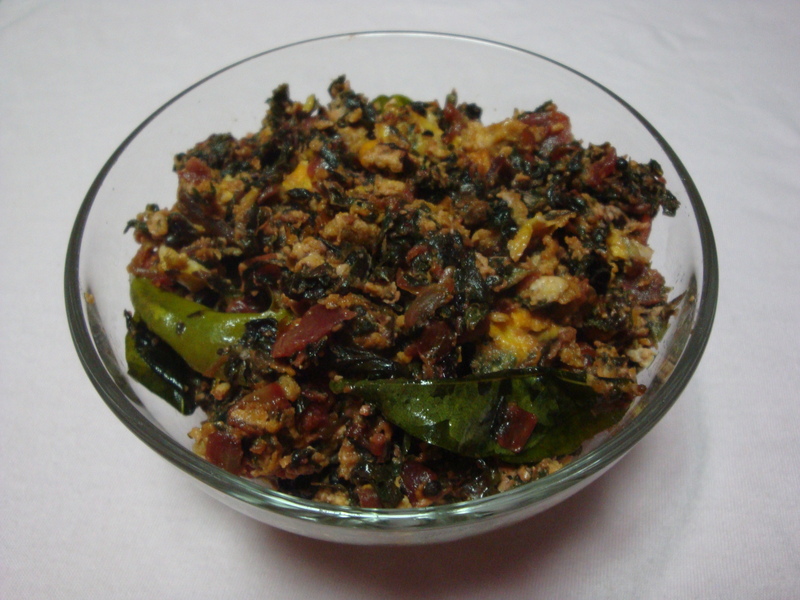 Add the chopped onion,green chilli and curry leaves and saute till onion edges turn slightly brown. Sprinkle the turmeric and coriander powders and stir ,throw in the chopped leaves and continue stirring till it wilts and cover cook 3-4 mins on low. For Variations We can add Egg or Yoghurt or Moong dal or Fresh Coconut to turn the basic fry into different Dishes. Just add Eggs according to your requirement and stir fry till done. 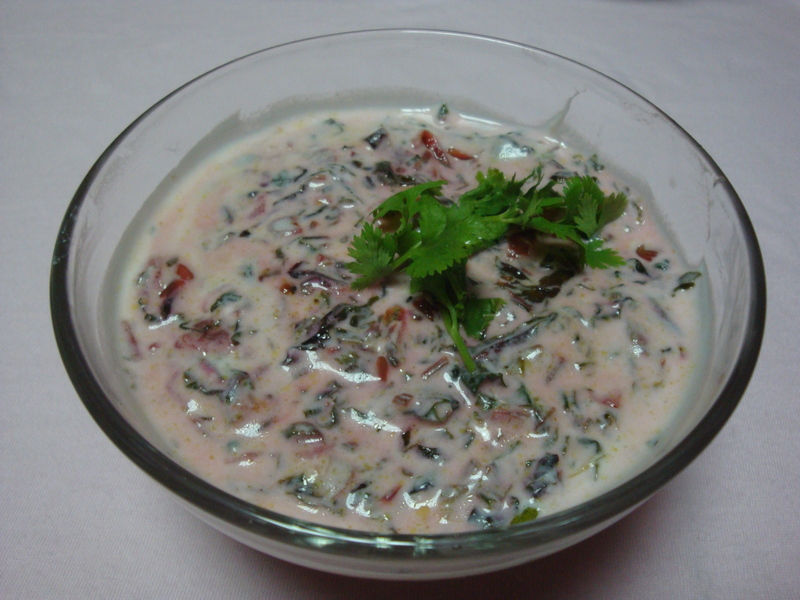 For this Dish Take the prepared fry into a bowl and add whisked yoghurt and salt and mix well.Ready to serve with rotis or chappatis. For this tasty dish soak a cup of Moong Dal for 30 mins and drain ,then add to the dish while in the process after adding the chopped leaves and continue as the recipe says. Add a cup of fresh Coconut in the last process of this fry,i.e after adding garlic and salt add fresh coconut and do as the recipe says. Adding all the above ingredients knead a slightly stiff dough and cover with wet cloth. Break off bits and make small potato sized balls. 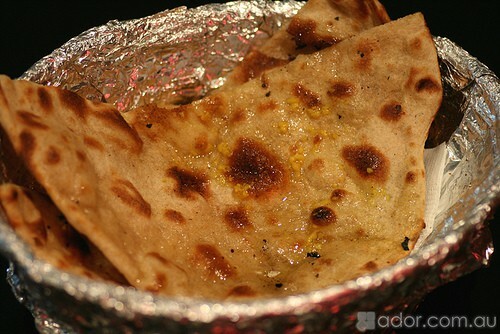 Place on tawa as for phulka once brown spots appear place directly on gas flame and puff,with the help of tongs. Apply ghee or butter . Serve hot with any pickles ,sweetened mango preserve,curds or jam. Hard boil eggs, remove the shell and keep aside . Fry the boiled egg until the color turn golden brownish (about 5 minutes) – be very careful with the oil blast, if possible cover the pan while frying the egg. In the same pan add 2 tsp oil when it is very hot add cumin seeds,bay leaf when the cumin seeds stars spluttering and thinly sliced onions. Saute until the onions are golden brown,now add sliced tomato and stir again for 5 to 6 minutes. In the meanwhile take a bowl Add ginger ,garlic paste,turmeric powder,coriander powder, red chilli powder, chicken masala salt and crushed cinamon stick and badi elachi .Now mix all the ingredients with small water . Now add all the Mixed contents of the bowl in kadahi fry, stirring constantly, for about 10-12 min, or until paste turns a light brown color and the gets oil separates. 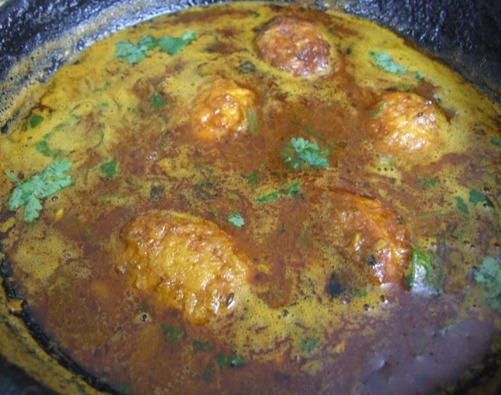 Add water as required and let it boil for 5 minutes,add the boiled eggs toss the eggs into the curry and let it simmer for 2 minutes,sprinkle garam masala and remove from heat when the curry is thick in consistency. Goes well with rice, paratha, puri or, plain chapati and with south Indian breads like Malabar Parotha. 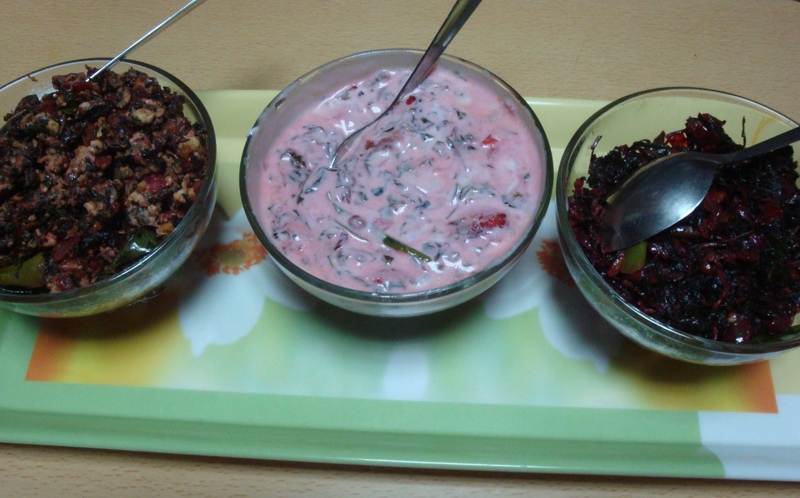 Lime Rice or Lemon Rice is a very balanced ayurvedic dish. It balances all three doshas viz., Vata, Pita and Kapha.